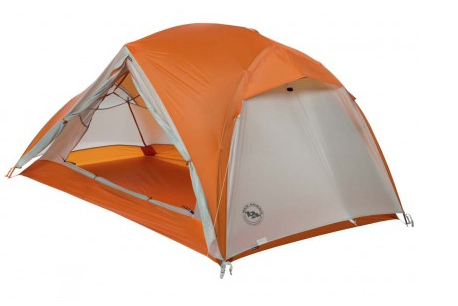 Please note that this tent has now been replaced with the Big Agnes Copper Spur HV UL2 (HV stands for high volume). I spent months researching what tent to get to replace my larger heavier existing tent and soon discovered that most tents are made for people six foot or under in height or that you will be pushing up against the tent ends, and this tends to increase condensation. Finally my search led me to the Big Agnes Copper Spur UL2. It’s a decision I don’t regret and would happily recommend this tent to anyone. The UL in the name means ‘Ultralight’ and this tent complete with all its bits and pieces, including the tent footprint weights around 1.5kg, half the weight of my tent it replaced. The Copper Spur is a freestanding tent and when purchased with the optional footprint allows the user to set up with layer, just the fly or just the inner mesh. This versatility means that no matter what the weather you will stay comfortable. 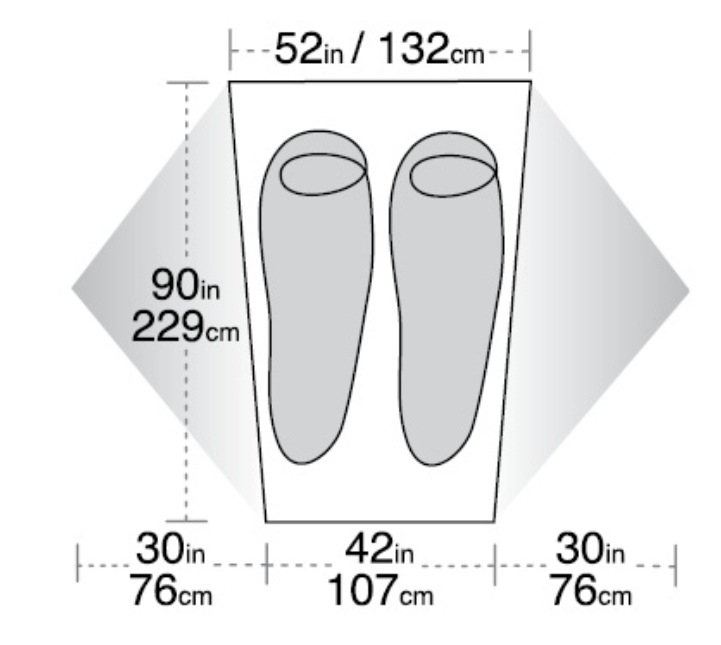 The internal dimension of this tent is 229cm x 132cm at the head end, 107cm at the foot end and provides plenty of space. Even in a bulky sleeping bag at 6’2” I’m not pressing on the tent ends and have never had any condensation issues even on my first overnight trip where we had four hours of heavy rain and strong winds. The tent also has plenty of head room allowing users to sit up comfortable. The tent vestibules are big and will fit 70 litre packs and still allow you room to comfortably exit the tent. 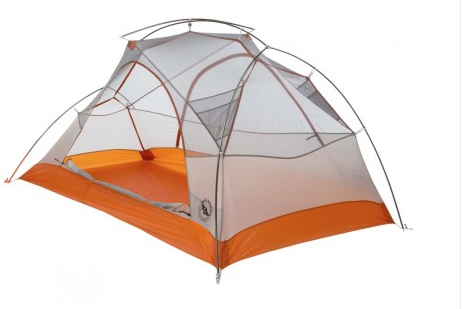 The two person Copper Spur has two doors, one for each side of the tent, which is a must when there are two people using the tent. I find front entry tents to be annoying as you cant help but disturb you partner when exiting at night. I can’t recommend this tent more highly but it does have its minor flaws.